The cameras are rolling on the feature film continuation of the Crawley family saga, and Focus Features has announced an expected release date for the Downton Abbey movie. 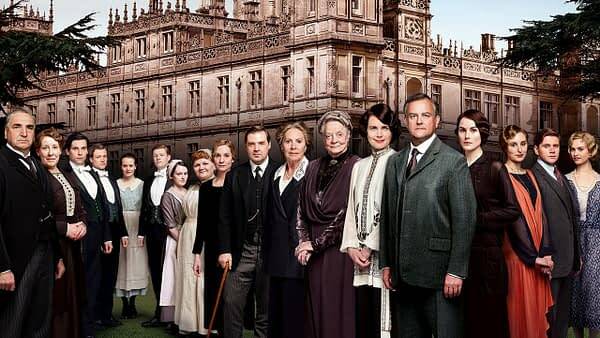 We know the majority of the principal cast are returning for the Downton Abbey film including Hugh Bonneville, Laura Carmichael, Jim Carter, Brendan Coyle, Michelle Dockery, Kevin Doyle, Joanne Froggatt, Matthew Goode, Harry Hadden-Paton, Robert James-Collier, Allen Leech, Phyllis Logan, Elizabeth McGovern, Sophie McShera, Lesley Nicol, Penelope Wilton, and Dame Maggie Smith. Newcomers to Gratham include Imelda Staunton, Geraldine James, Simon Jones, David Haig, Tuppence Middleton, Kate Phillips and Stephen Campbell Moore. Hear the First Track From John Carpenter’s New Halloween Score Now!